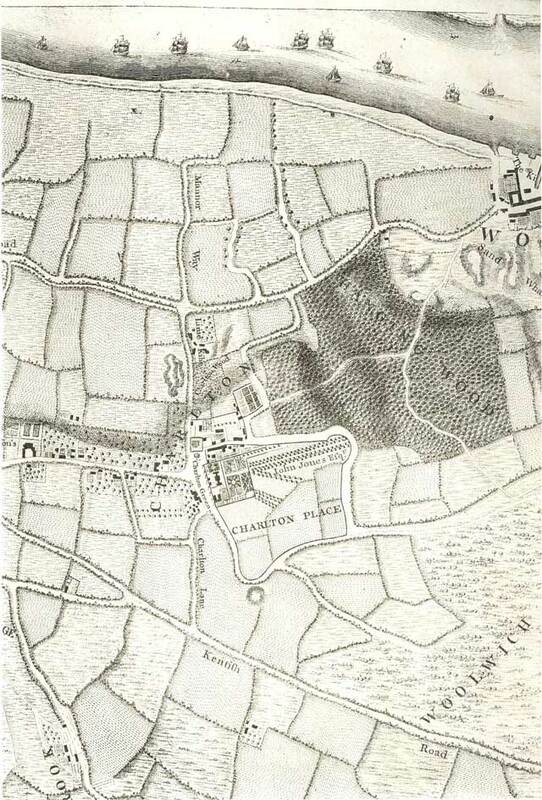 Charlton was a typical Kentish village in 1746, with its church, manor house, and village street all adjacent to the green. From its lofty eminence it had, and still has, a spectacular view over the river. In the 18th century the view north was across large areas of riverside marsh. Between Charlton and Woolwich was the densely forested and sombre sounding "Hanging Wood". Charlton Place refers to Charlton House, the impressive Jacobean mansion built by Adam Newton between 1607 and 1612. The house, with its park, still dominate this part of Charlton.